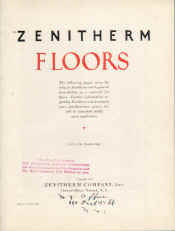 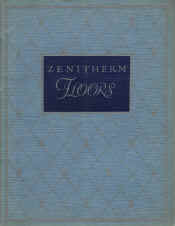 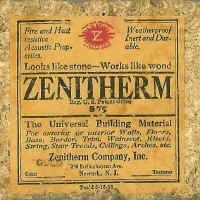 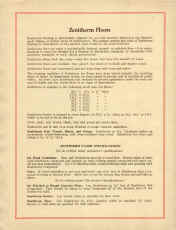 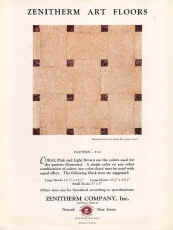 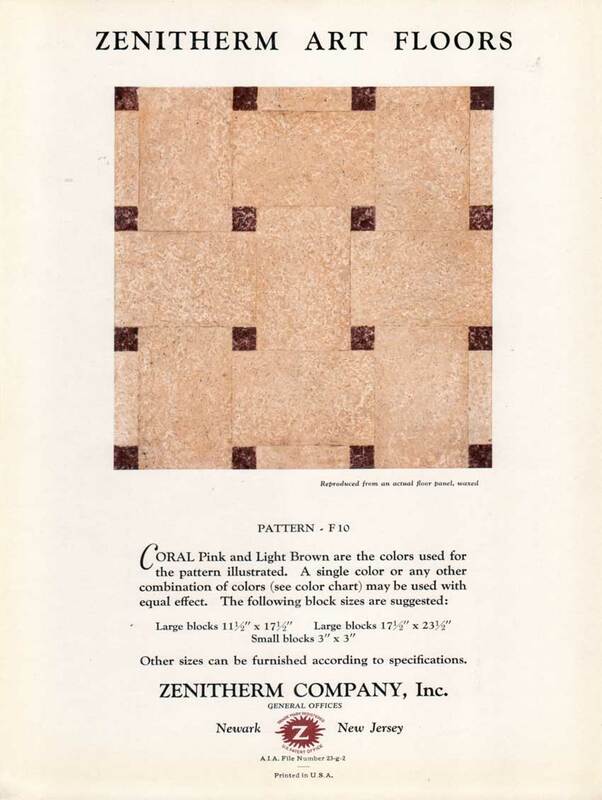 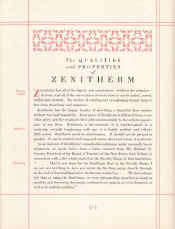 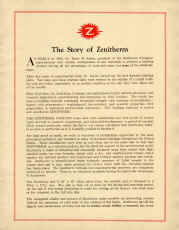 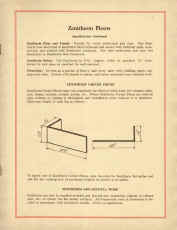 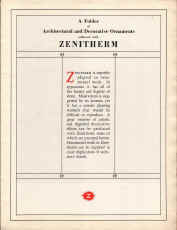 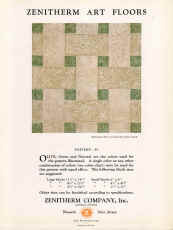 Original Zenitherm packing crate label from the late 1920s. 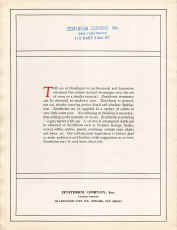 The label lists a patent date of 5-16-16. 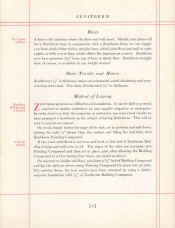 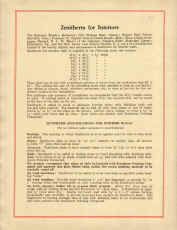 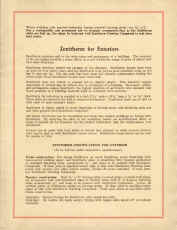 Click here for the full text of the patent. 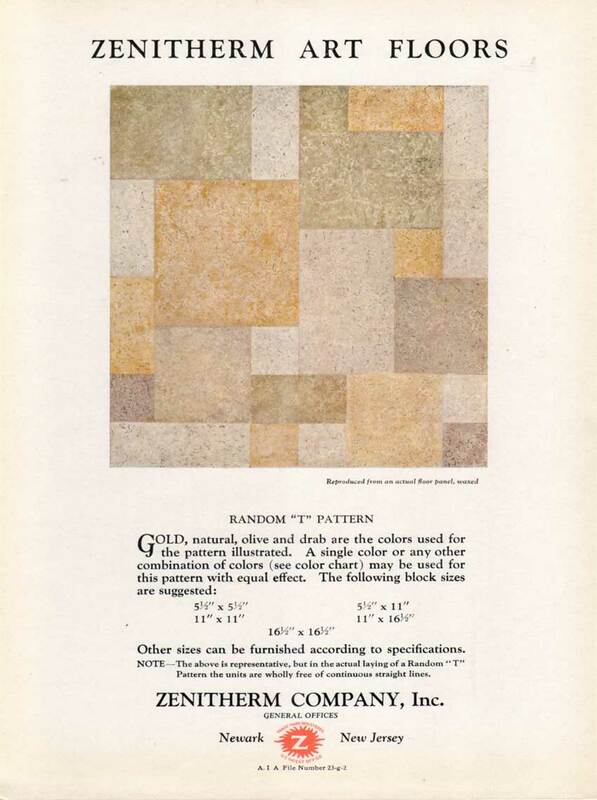 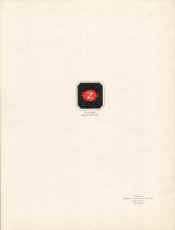 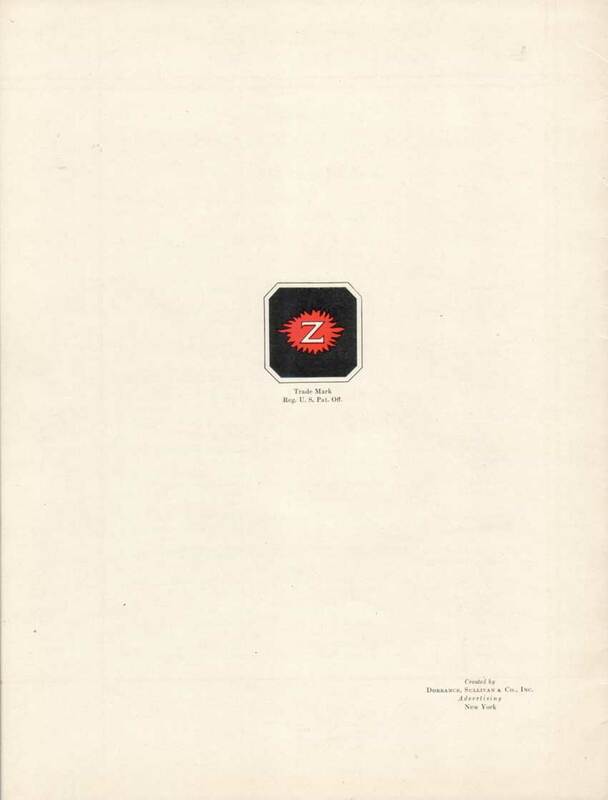 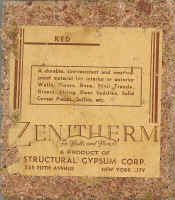 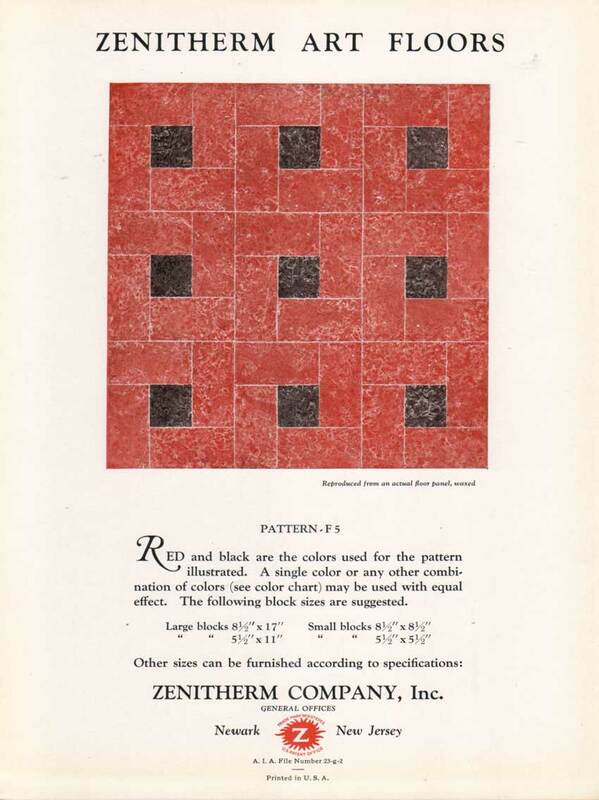 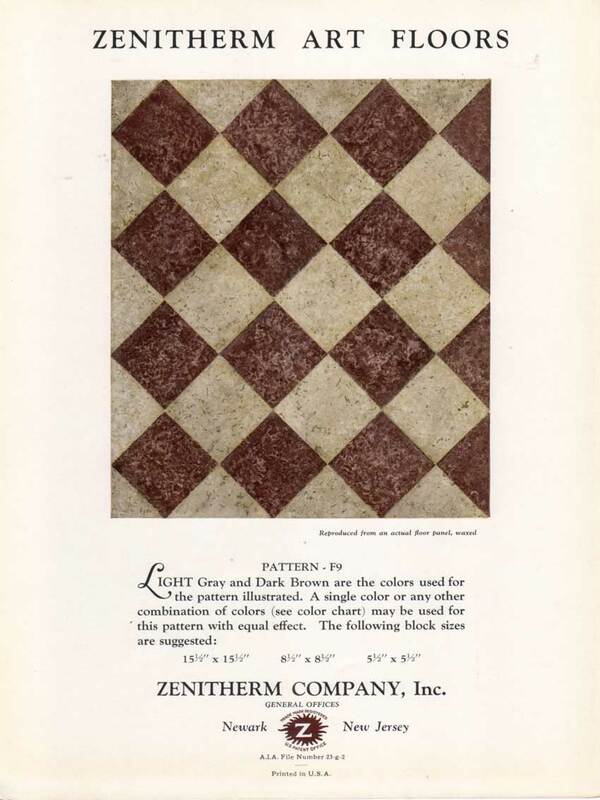 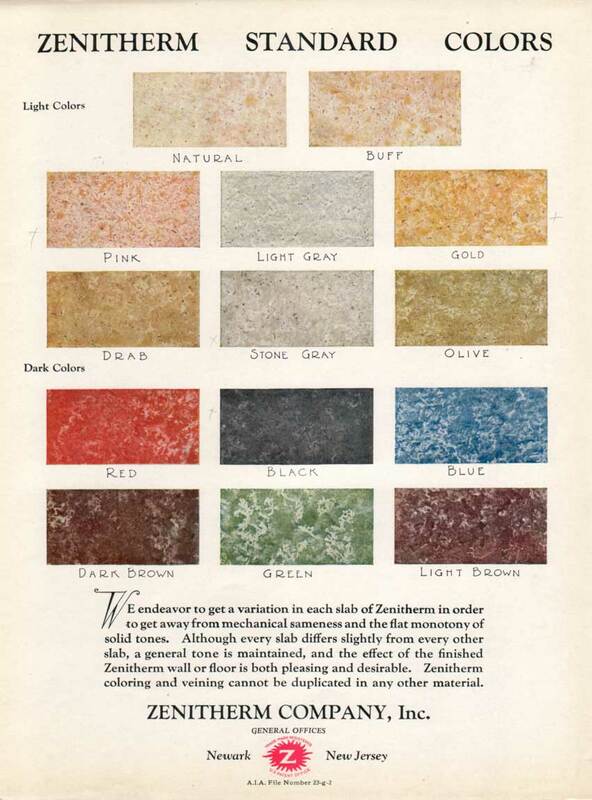 The label on the red sample has "Zenitherm, a product of Structural Gypsum Corp., 535 Fifth Avenue, New York City" and this presumably is an earlier product, before the company was established as "Zenitherm Company, Inc., 390 Frelinghuysen Ave., Newark, N.J." as shown on the gold sample. 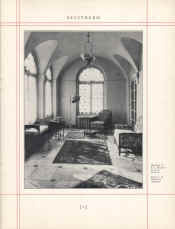 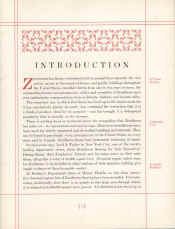 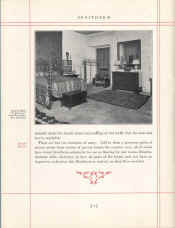 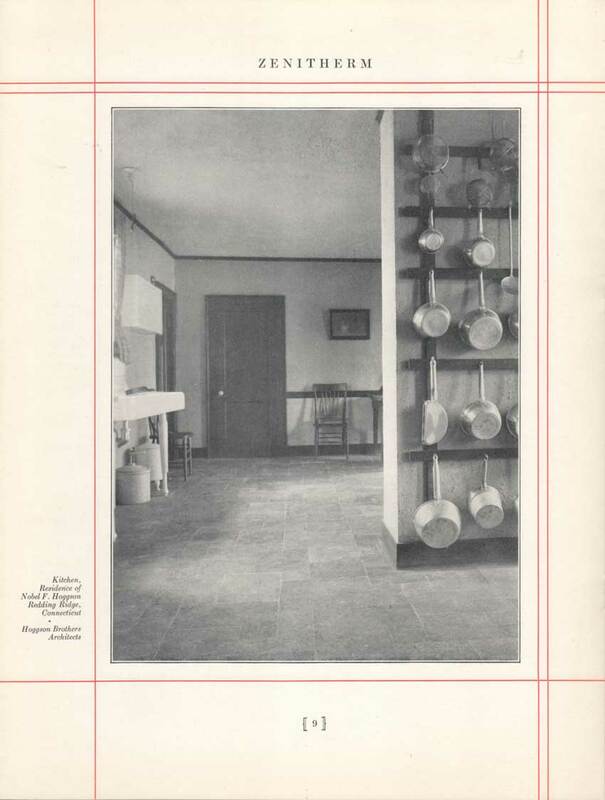 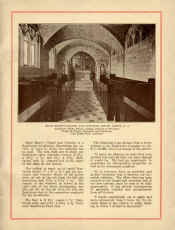 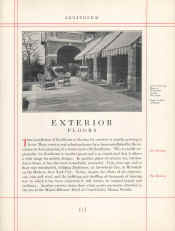 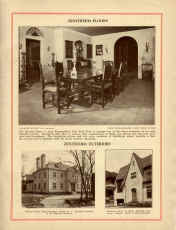 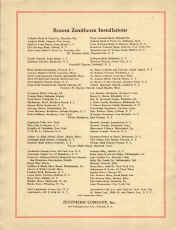 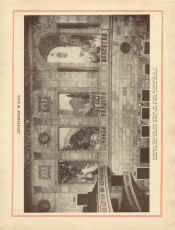 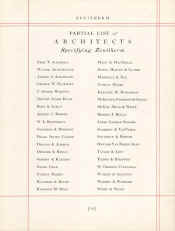 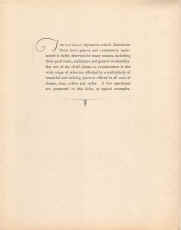 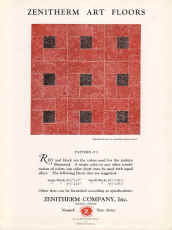 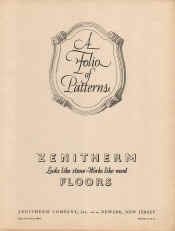 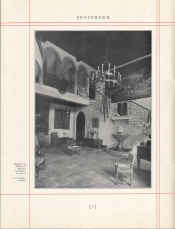 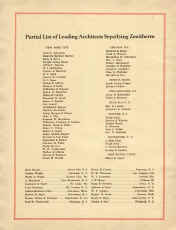 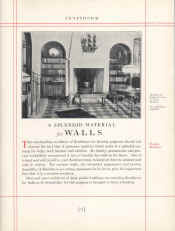 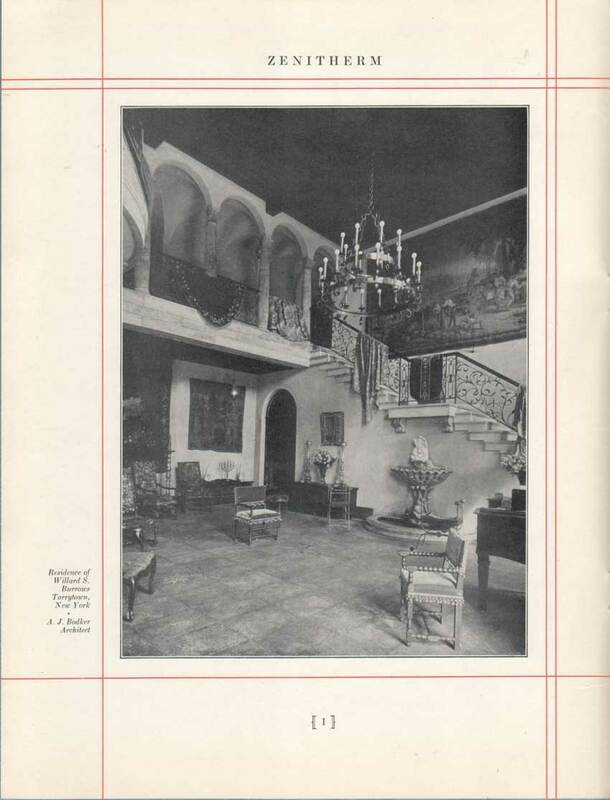 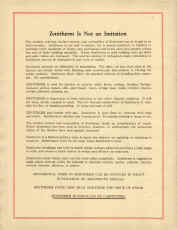 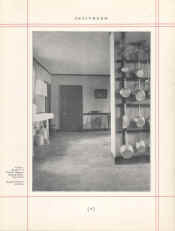 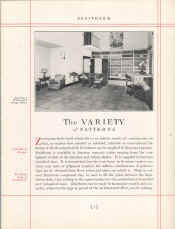 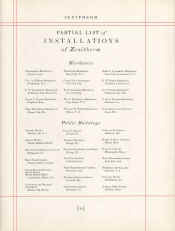 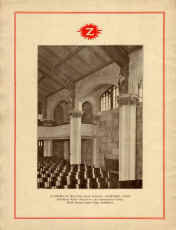 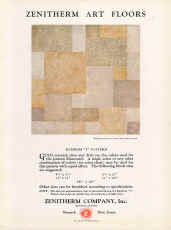 In a 1930 catalogue the company's address is given as "110 East 42nd Street, New York City", with factory and general offices at "Kearny, New Jersey". 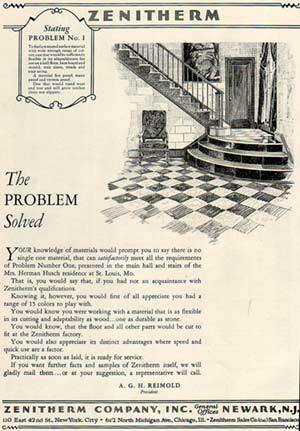 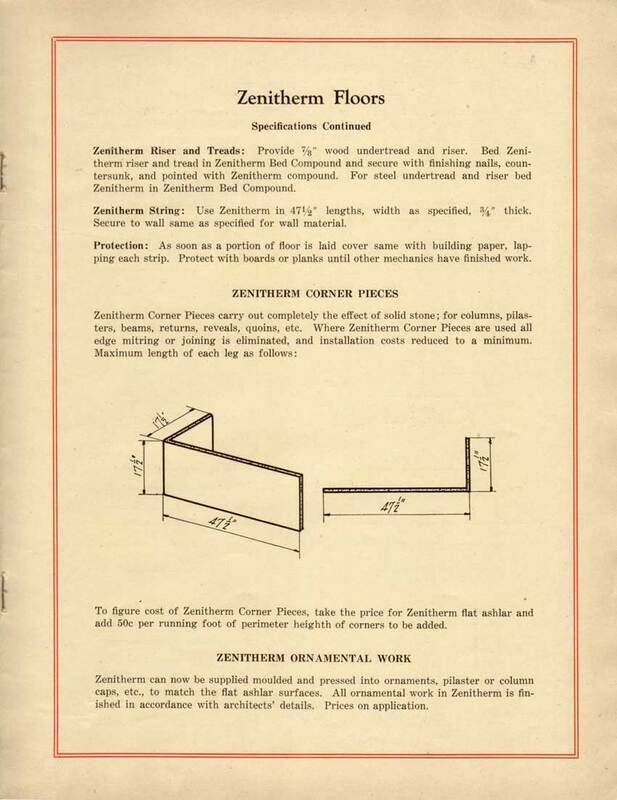 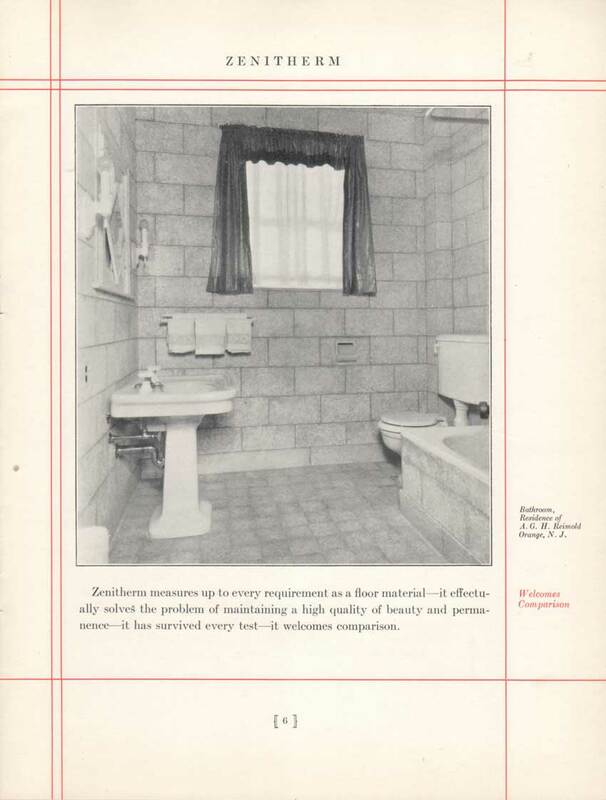 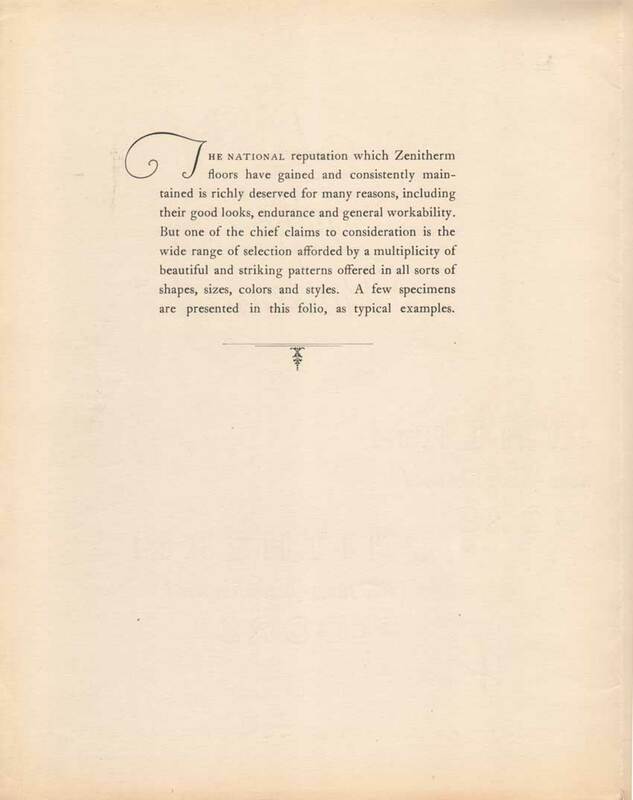 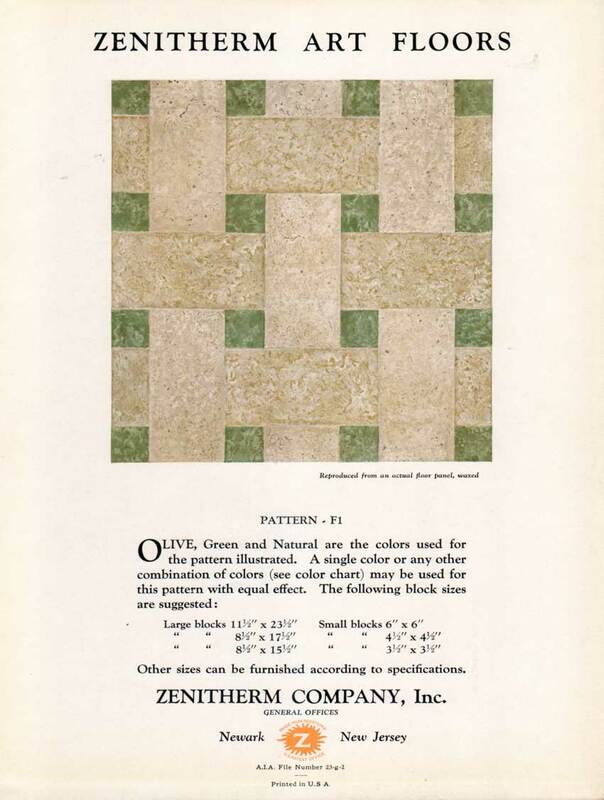 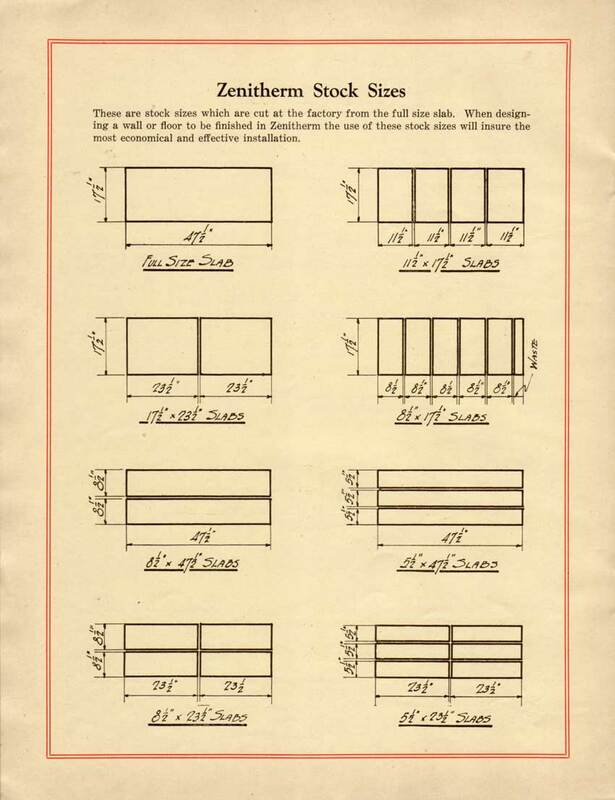 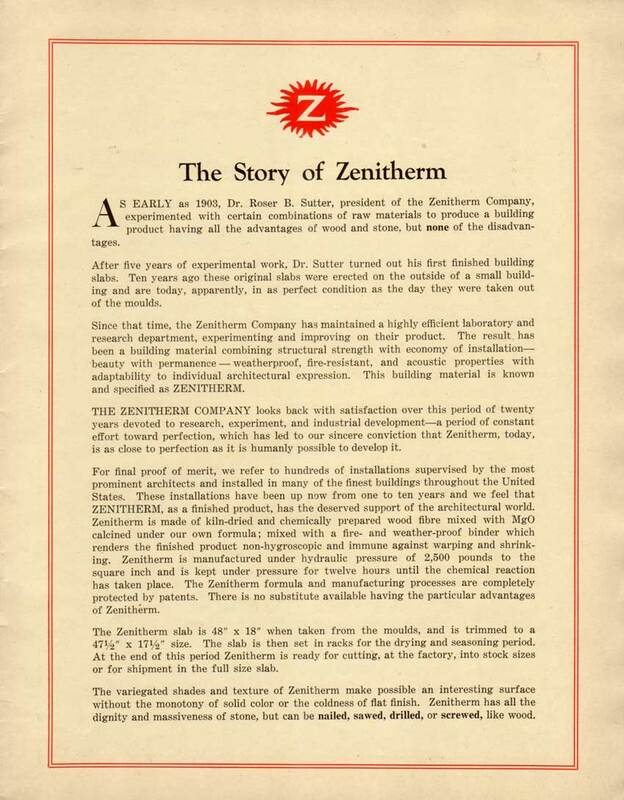 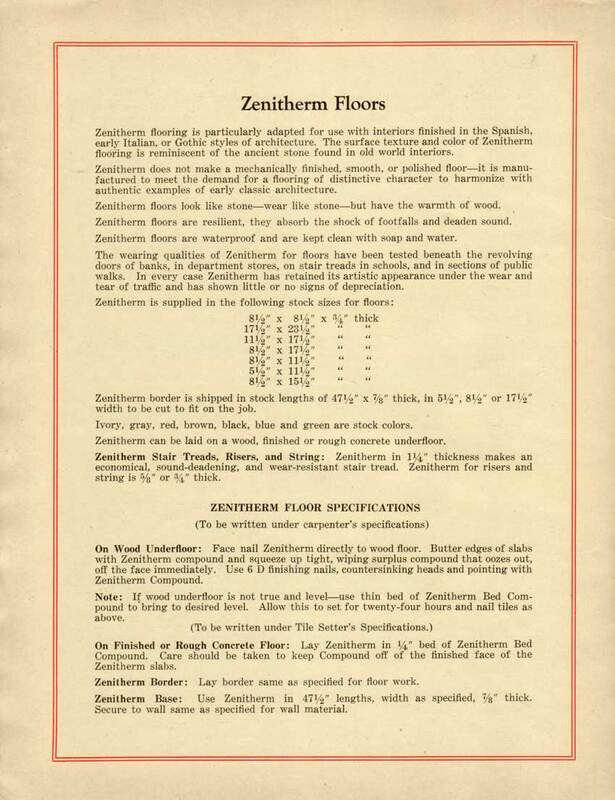 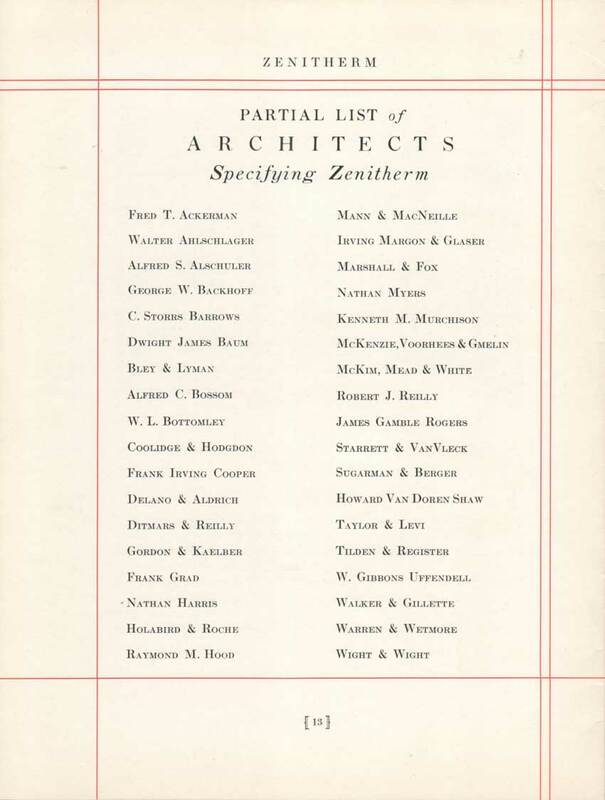 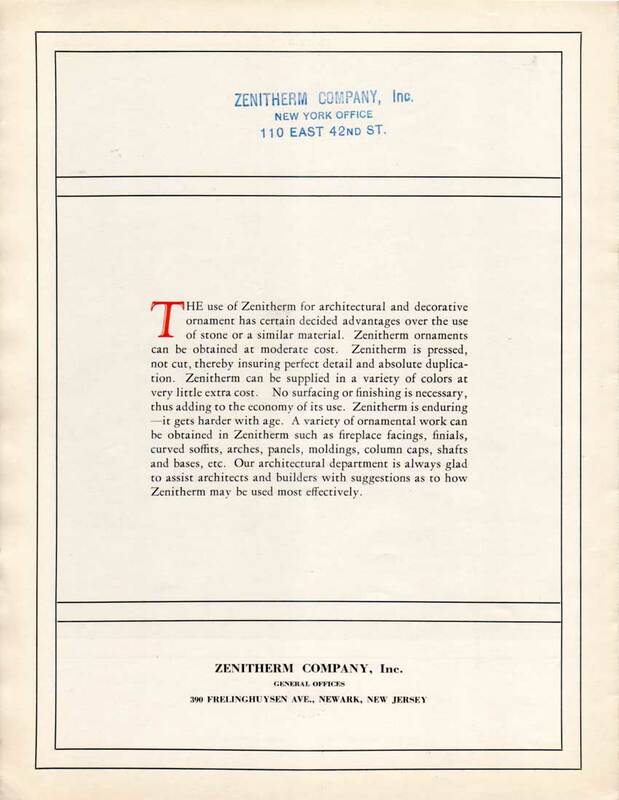 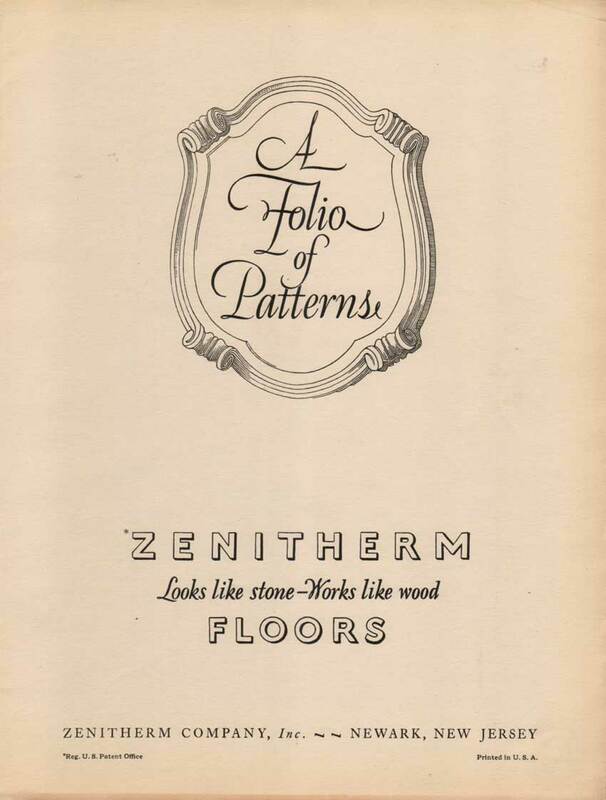 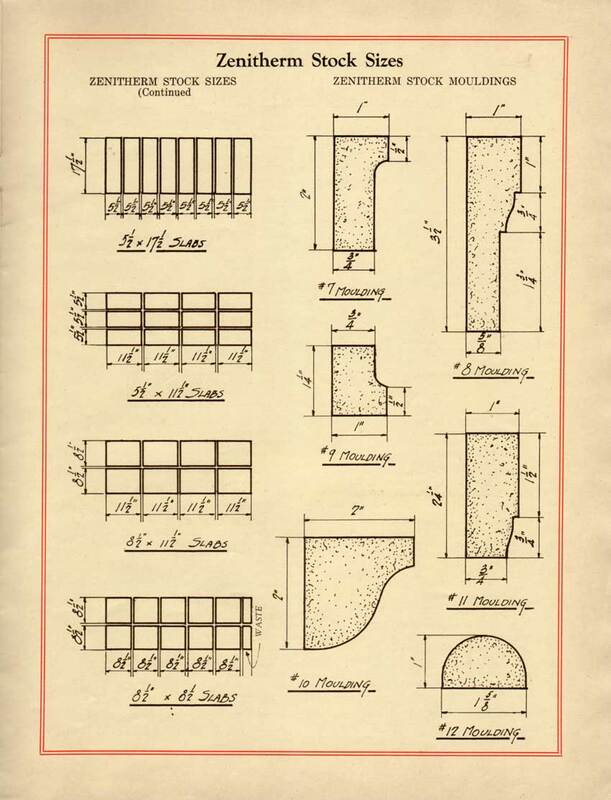 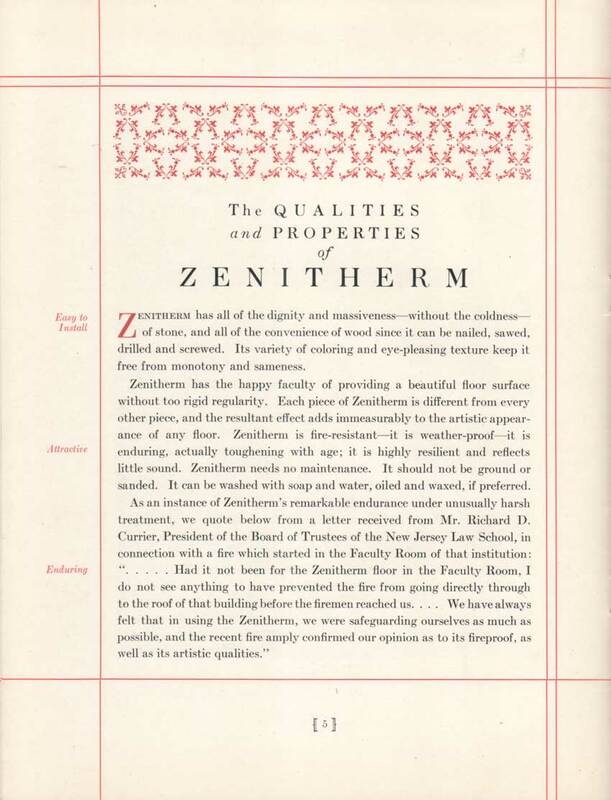 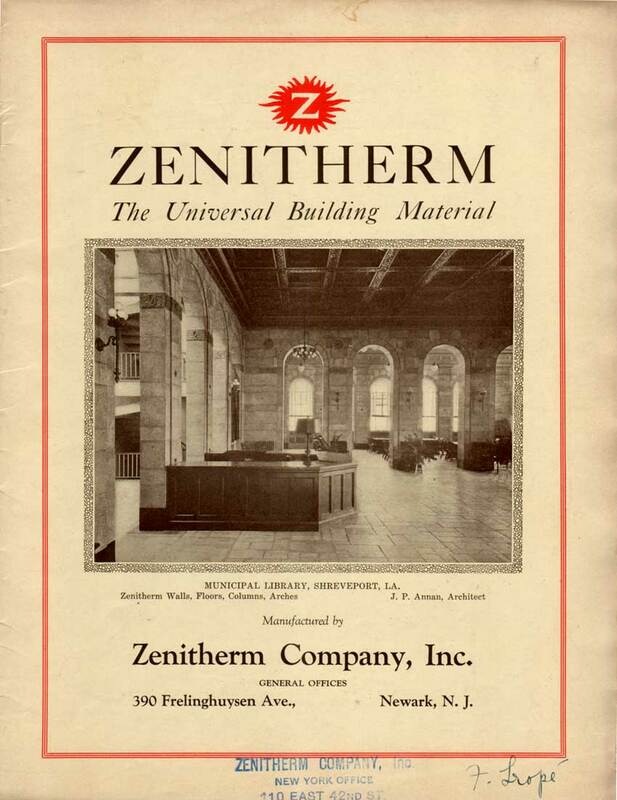 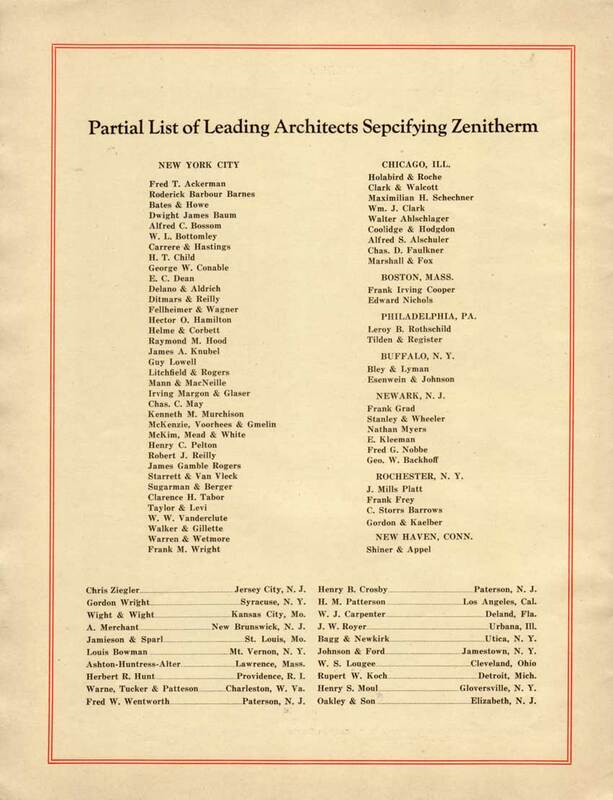 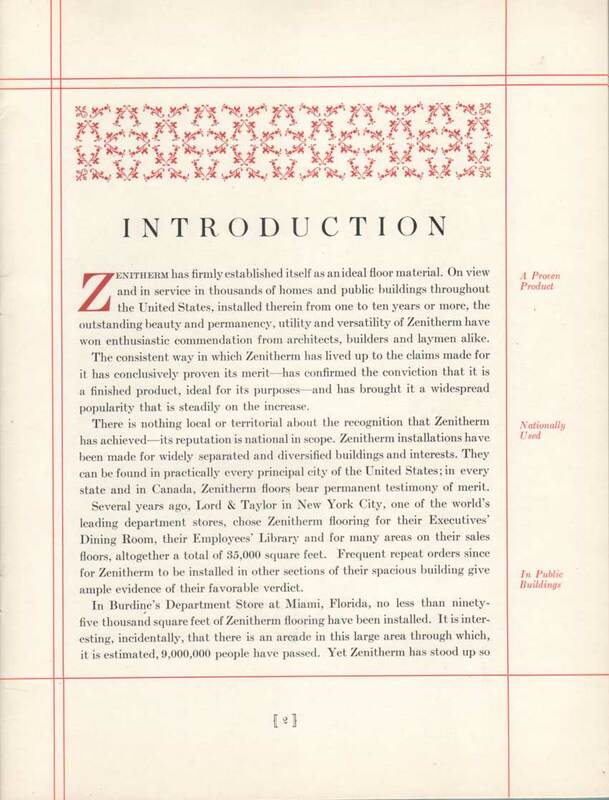 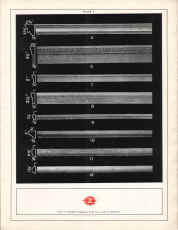 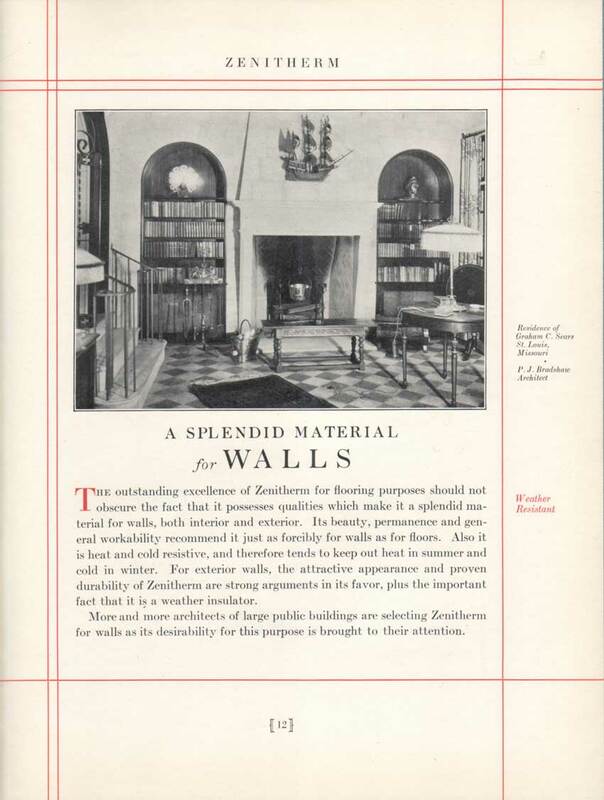 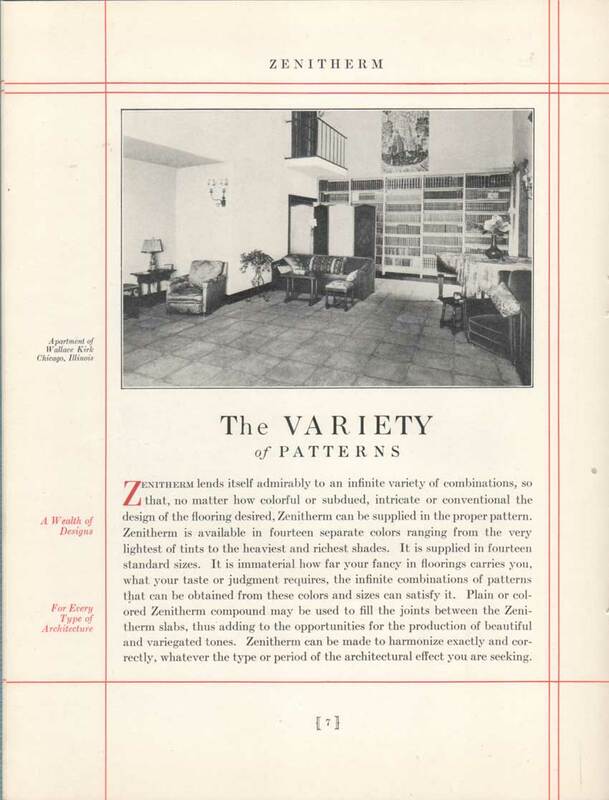 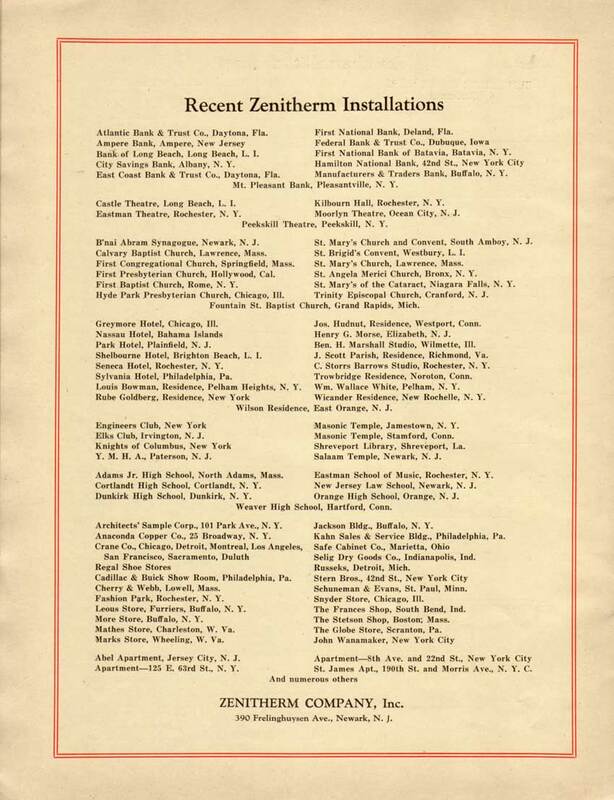 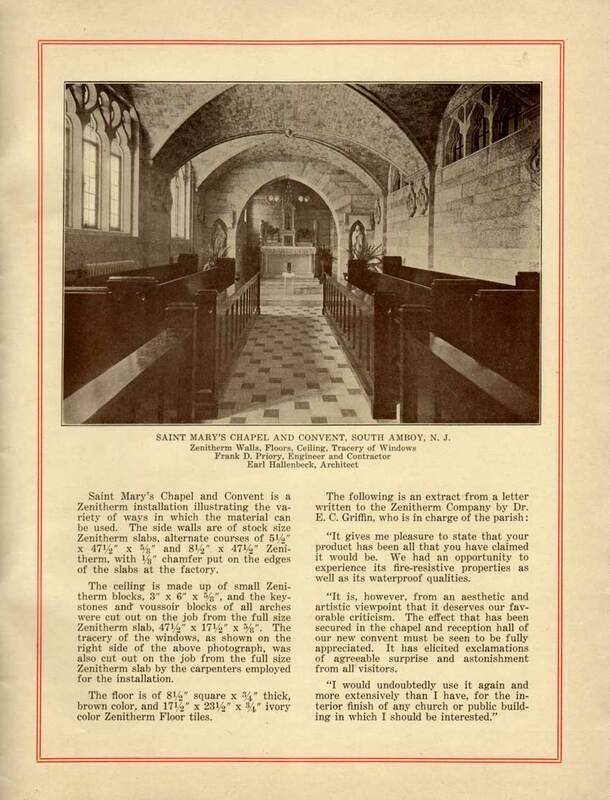 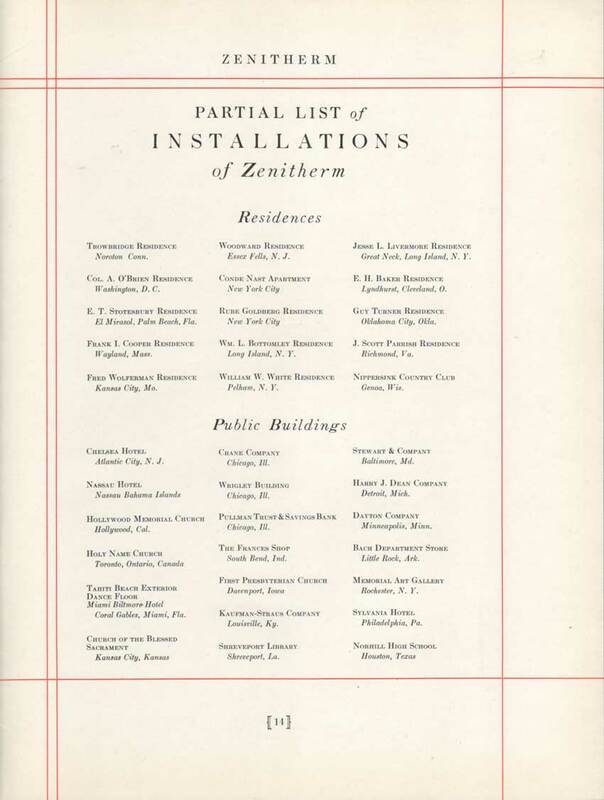 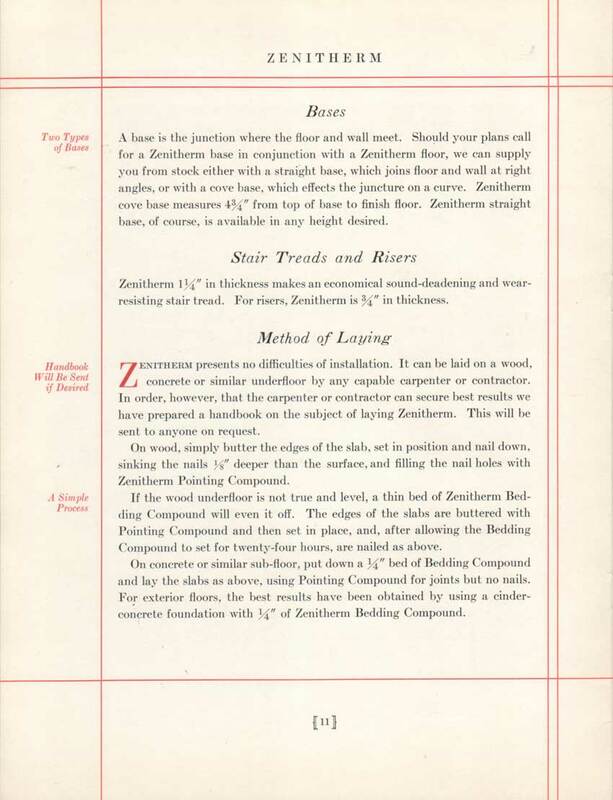 The literature below notes that: "As early as 1903, Dr. Roser B. Sutter, president of the Zenitherm Company, experimented with certain combinations of raw materials to produce a building product having all the advantages of wood and stone but none of the disadvantages." 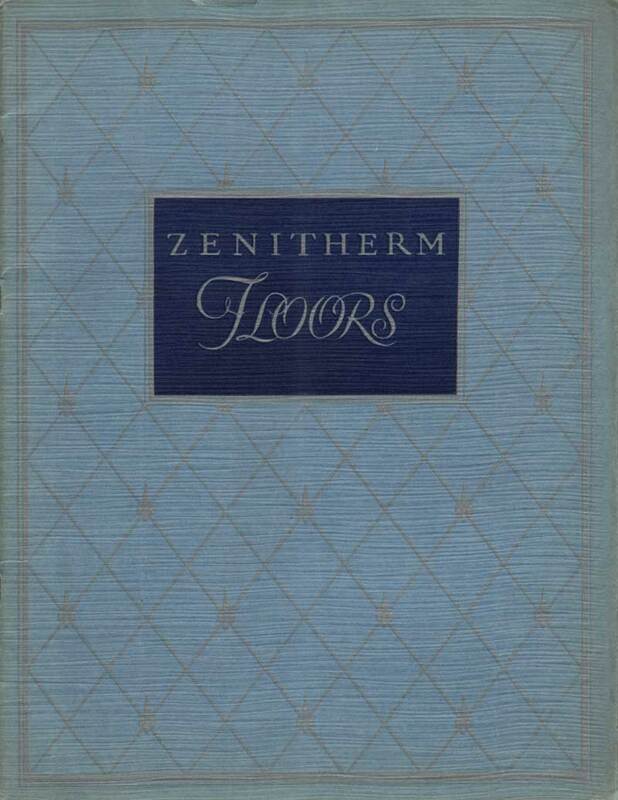 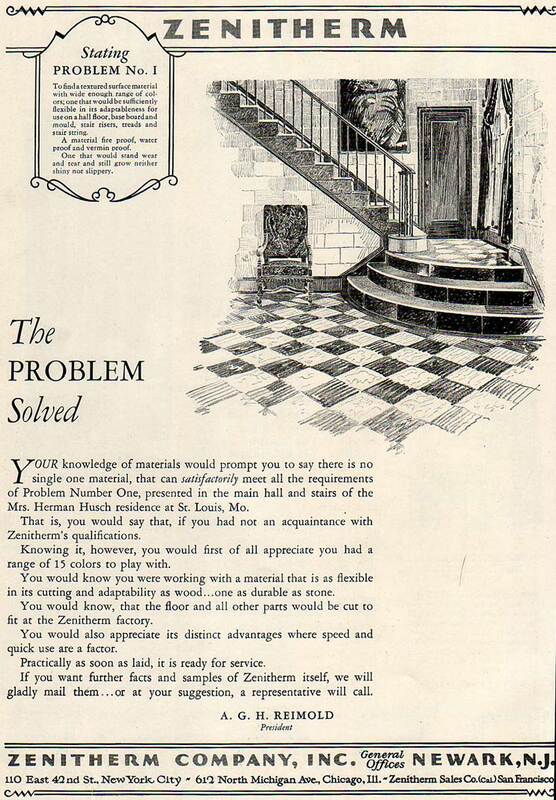 Zenitherm is not a thin material like linoleum; the specifications give the thickness of floor tiles as ¾", and stair treads were available in 1¼". 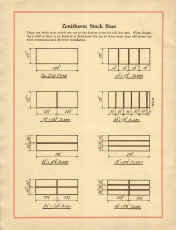 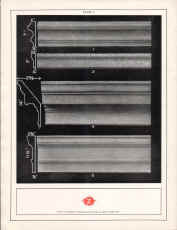 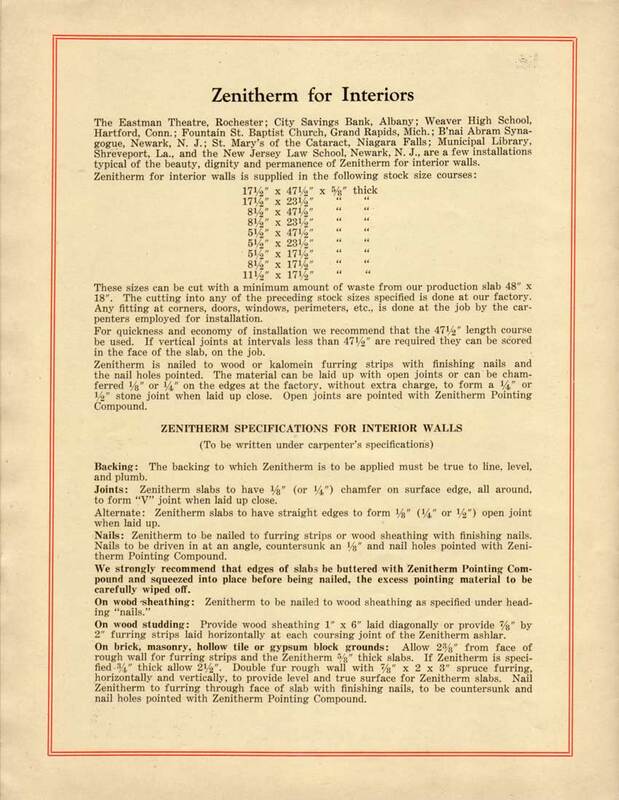 Interior wall material was offered in 5/8" thickness; exterior in ¾" or 7/8". 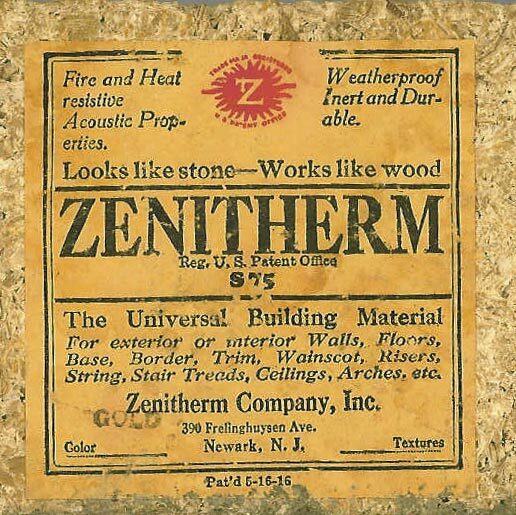 Zenitherm could be "nailed, sawed, drilled, or screwed, like wood"
Zenitherm is superbly adapted to ornamental work. 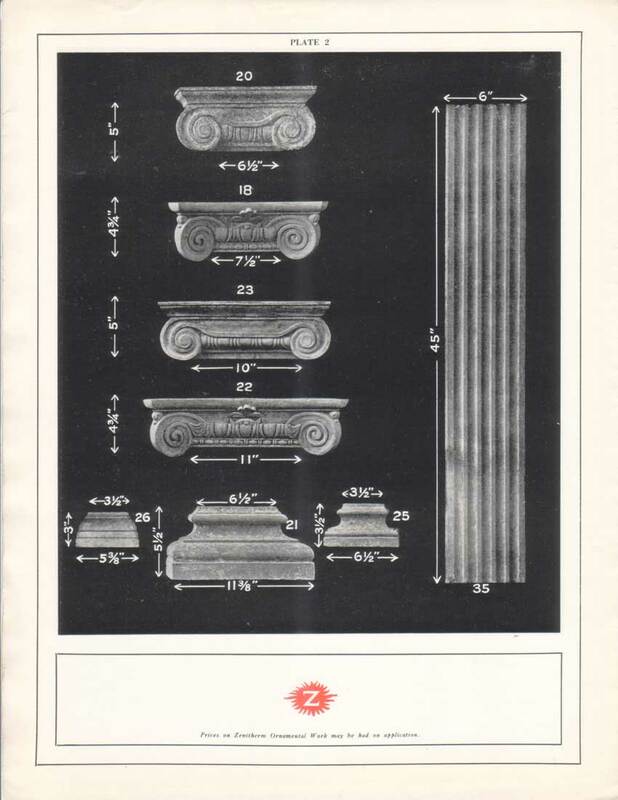 In appearance it has all of the beauty and dignity of stone. 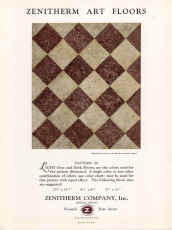 Massiveness is suggested by its texture, yet it has a certain pleasing warmth that would be difficult to reproduce. 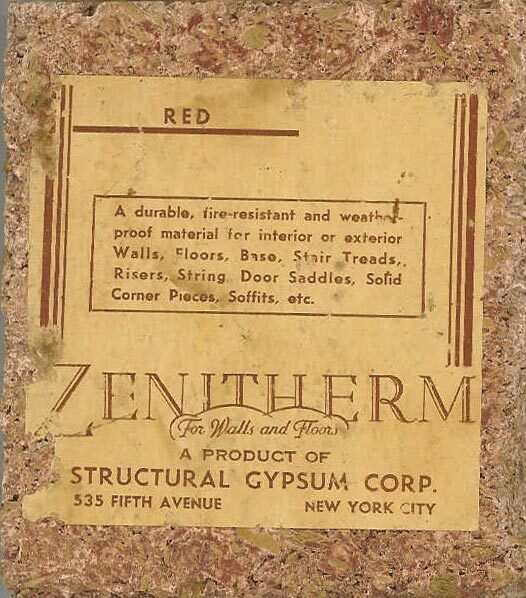 A great number of artistic and dignified decorative effects can be produced with Zenitherm, some of which are pictured herein. 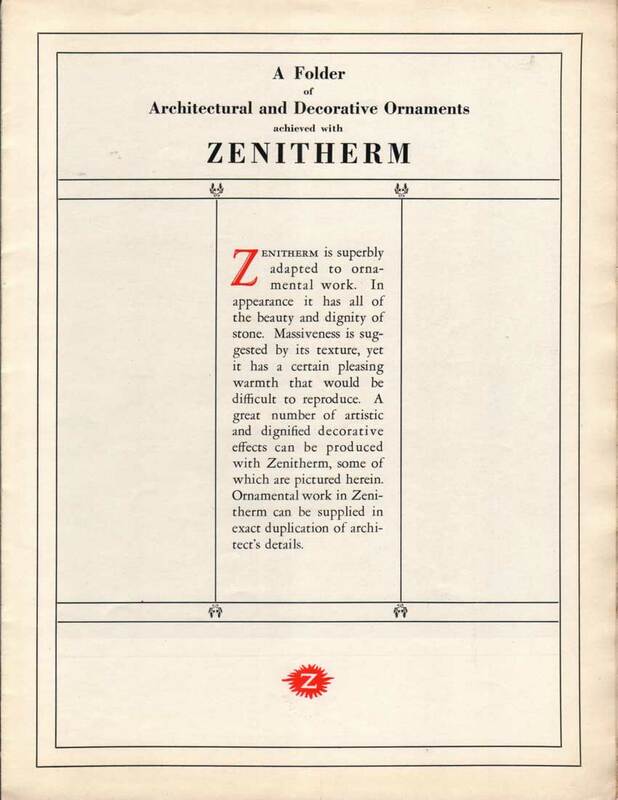 Ornamental work in Zenitherm can be supplied in exact duplication of architect's details. 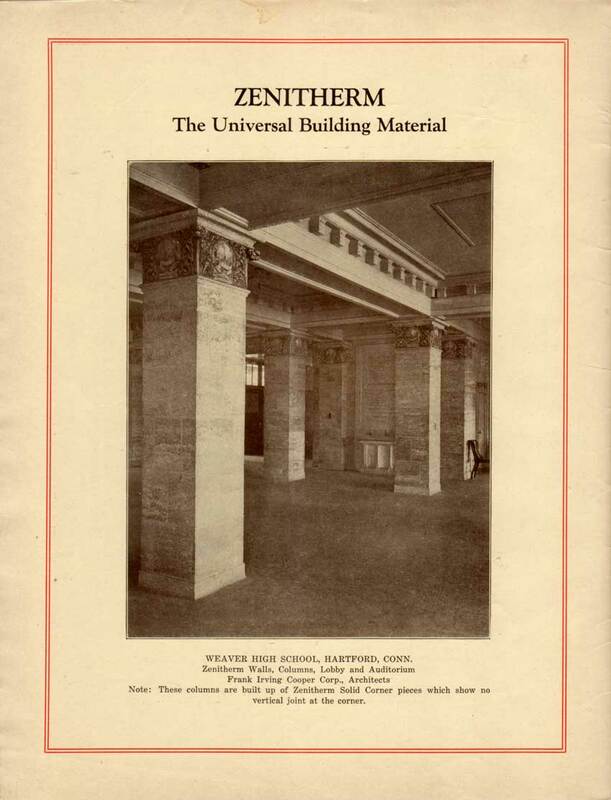 The use of Zenitherm for architectural and decorative ornament has certain decided advantages over the use of stone or a similar material. 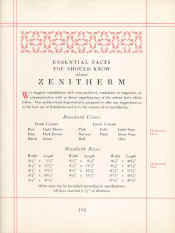 Zenitherm ornaments can be obtained at moderate cost. 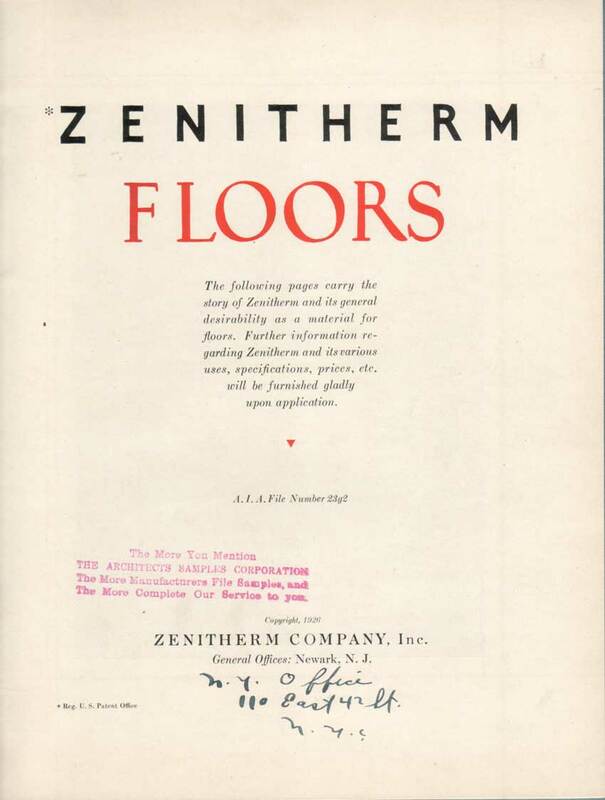 Zenitherm is pressed, not cut, thereby insuring perfect detail and absolute duplication. 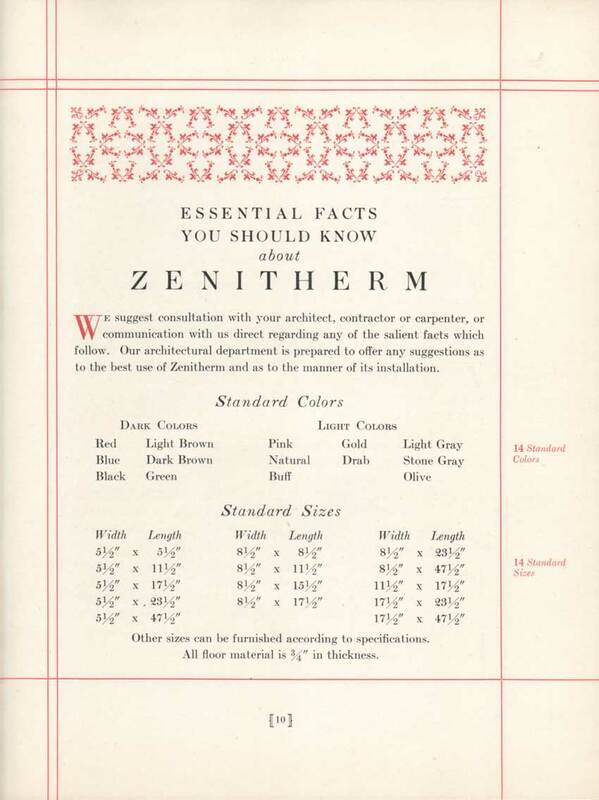 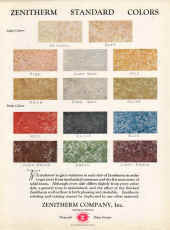 Zenitherm can be supplied in a variety of colors at very little extra cost. 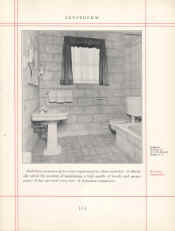 No surfacing or finishing is necessary, thus adding to the economy of its use. 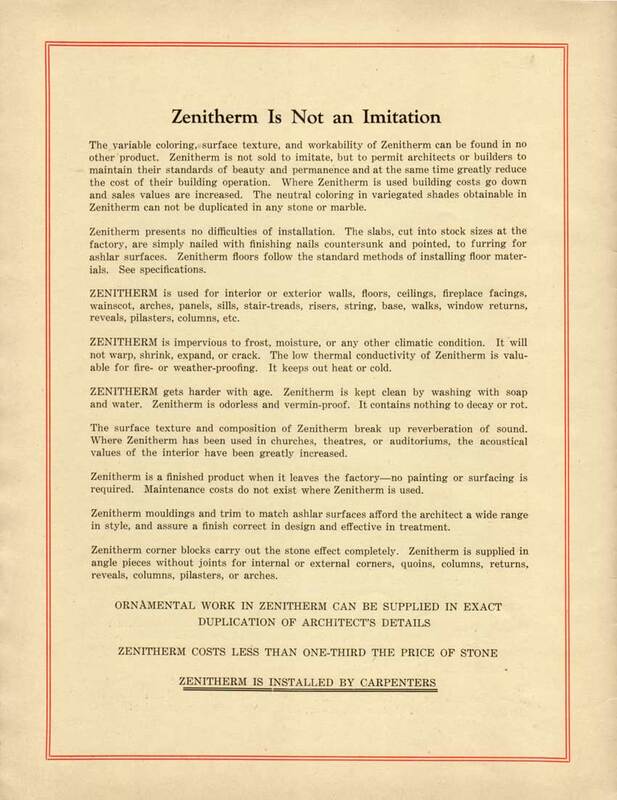 Zenitherm is enduring—it gets harder with age. 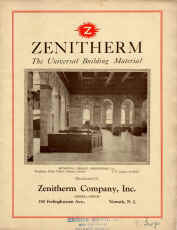 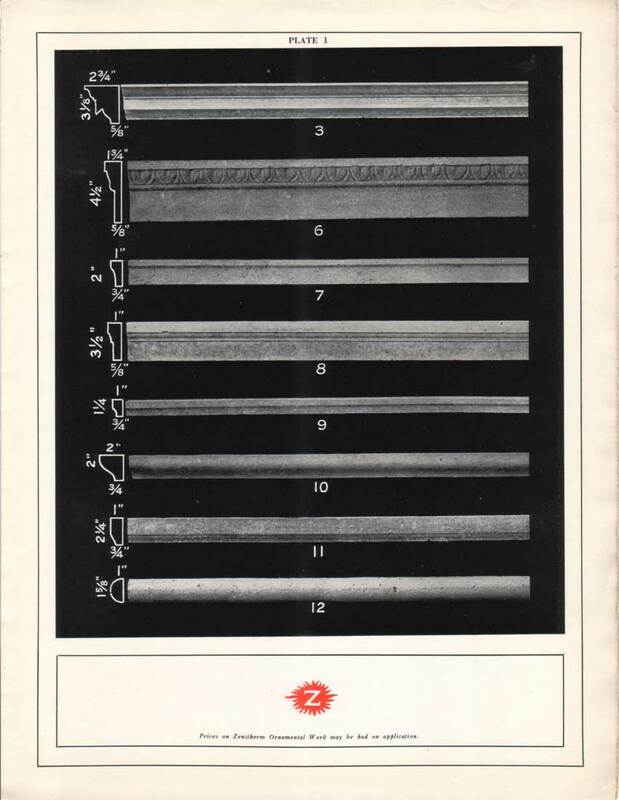 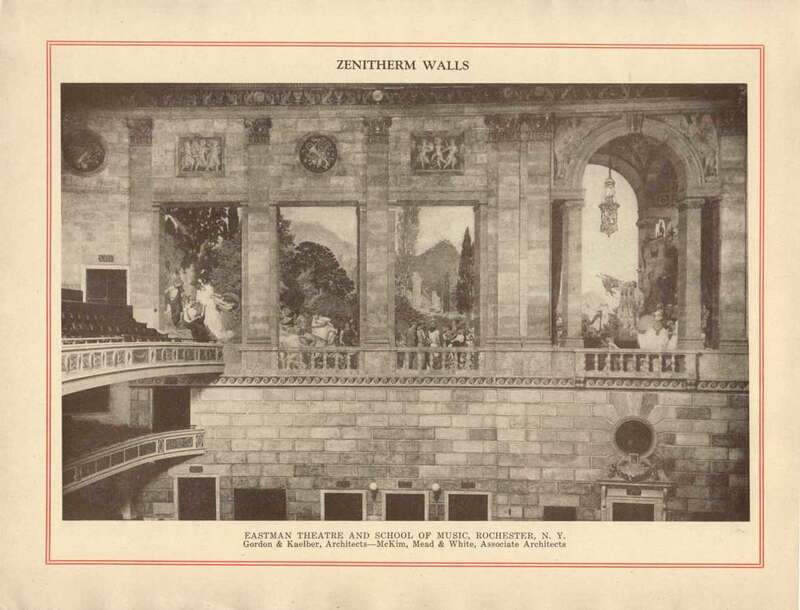 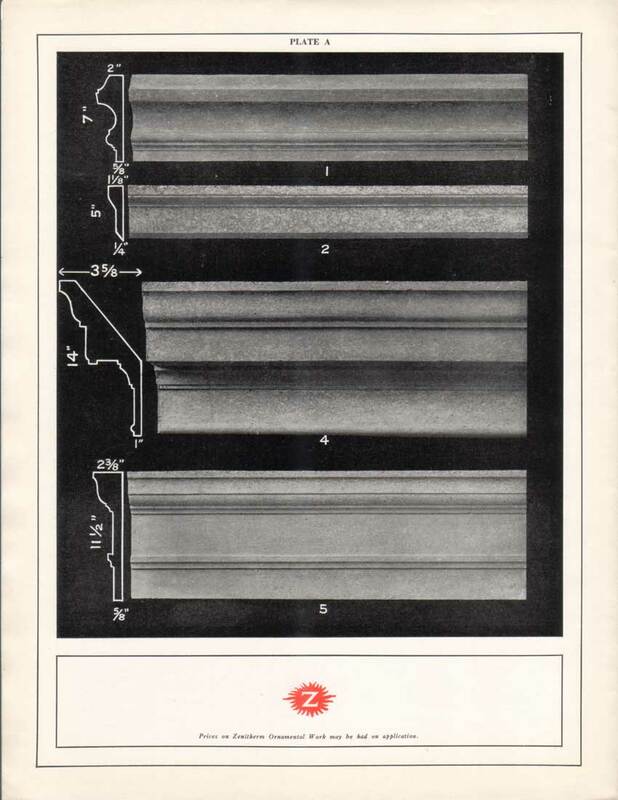 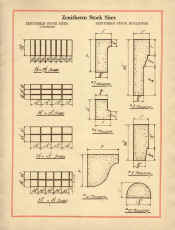 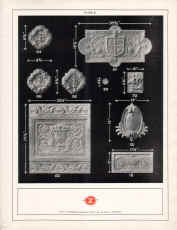 A variety of ornamental work can be obtained in Zenitherm such as fireplace facings, finials, curved soffits, arches, panels, moldings, column caps, shafts and bases, etc. 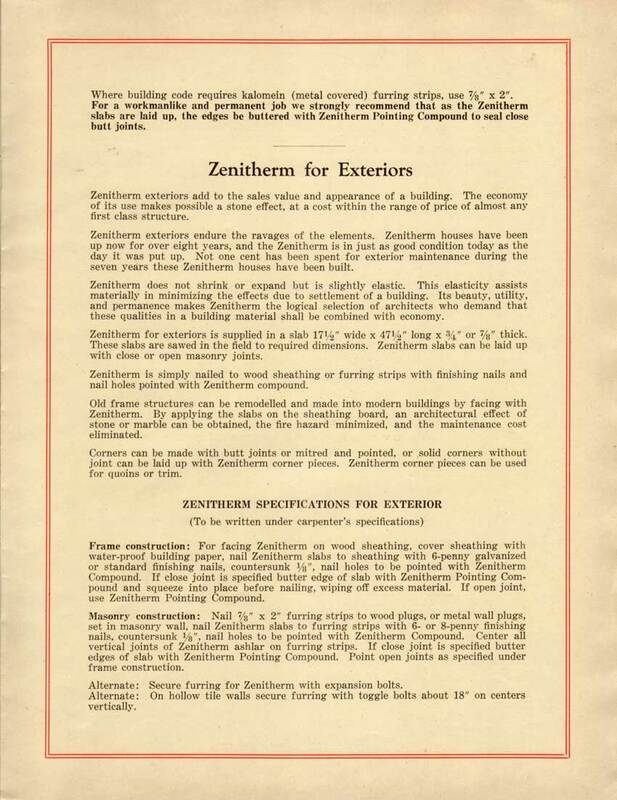 Our architectural department is always glad to assist architects and builders with suggestions as to how Zenitherm may be used most effectively.